The Klever A/T was designed to deliver a smooth, quiet ride without sacrificing all-terrain traction because we know the majority of your time spent is on the road. The aggressive sidewall and unique tread design enables traction for all applications and conditions, giving an aggressive off-road look without sacrificing on-road comfort and performance. 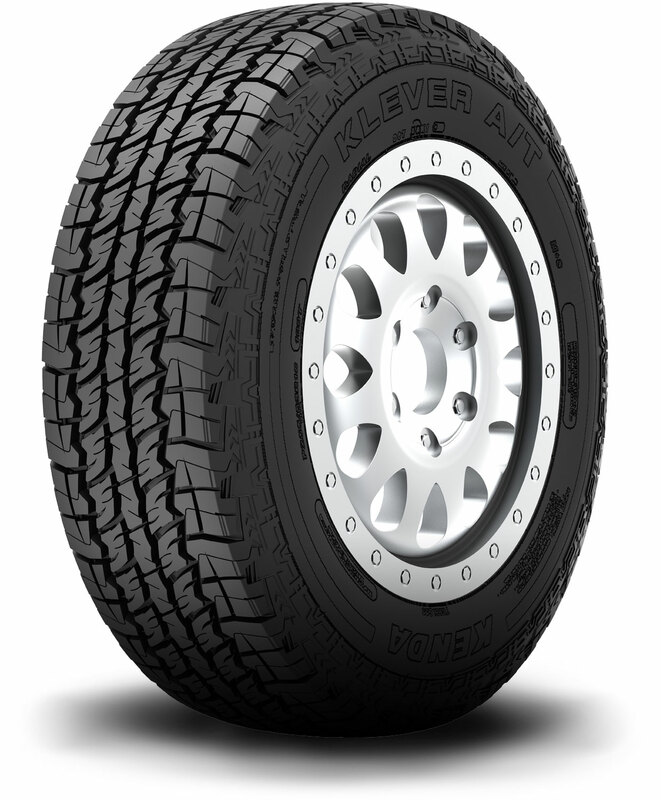 The Kenda Klever A/T's double steel-belted construction gives you long-lasting wear and uniformity and select sizes are constructed with a 3-ply sidewall to improve off-road durability and puncture protection. Seek an adventure.